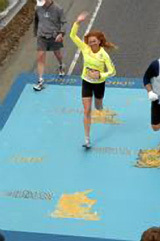 Vicky running her personal best of 3:30:51 in the Boston marathon April 20, 2009. Photographer Chris Simmons captured this shot of East St. Croix from 3000 ft.
Let our professional staff find the house, land or commercial location for sale or for rent which meets your needs and fulfills your dreams on St. Thomas, the capital of the Virgin Islands, on St. Croix with its quiet pastoral beauty or on St. John, the crown jewel of the Caribbean. Paradise by the week or for a lifetime, the choice is yours. St. Croix is a fabulous investment at this time. Property on St. Croix is highly undervalued and beginning a strong climb. 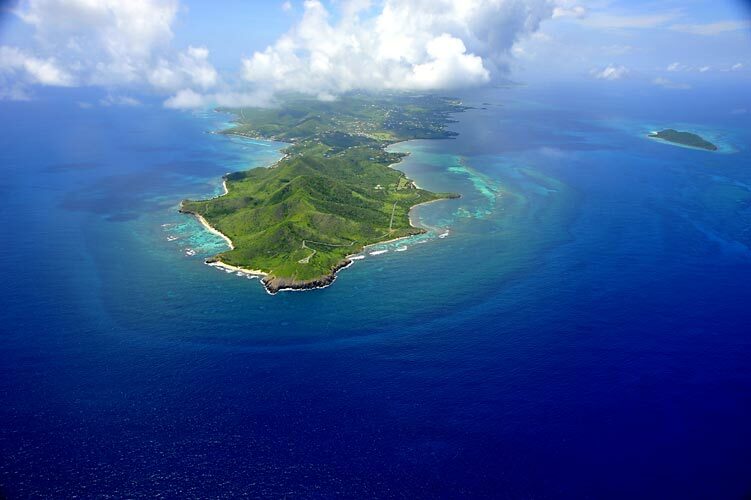 There are multiple developments on island creating momentum that will bring St. Croix values in line with the values on St. Thomas and St. John, the other main United States Virgin Islands. The new business-friendly government is working with the private sector to change the face of doing business in the United States Virgin Islands. June 24th, 2008 the Virgin Islands entered into an agreement with Diageo, PLC to bring a $165 million rum manufacturing plant to the island of St. Croix. The plant will produce Captain Morgan rum for the US market. Diageo is a multinational UK based company that produces some of the world�s top beer, wine and spirit brands. The 3-year construction period will create construction jobs that will then lead to manufacturing jobs. The Mashantucket Pequot Tribal Nation, the owners and operators of Foxwood Casino, has been permitted to build a 600-acre resort and casino called The Mills. The Mills will include a 400-room hotel, a marina, casino, 160 residential lots, condominiums, 2 golf courses, retail shops, a convention center and botanical gardens. The Renaissance Hotels & Resorts brand of Marriott Hotels is completing a $20 million dollar renovation of the Carambola Beach Resort. Wyndham Hotels & Resorts has announced their involvement in a 43,000-square foot conference center including a 400-room resort with golf course and casino valued at $250 million. A Russian oil company, Vitiol Inc. has acquired 1200 acres near the west end of St. Croix and is planning a large development to include residential and timeshare development with golf course and other luxury amenities. The Economic Development Commission offers excellent tax advantages for businesses in the United States Virgin Islands. There are over 50 scheduled cruise ships stops coming to Frederiksted in 2009 including Disney Cruise Lines. In recent years the Frederiksted cruise ship pier has been used primarily by fisherman for leisure and children for diving. All this activity is bringing St. Croix to a brink of major economic growth that will reflect in rising property values. These new developments will increase air traffic and tourism overall.